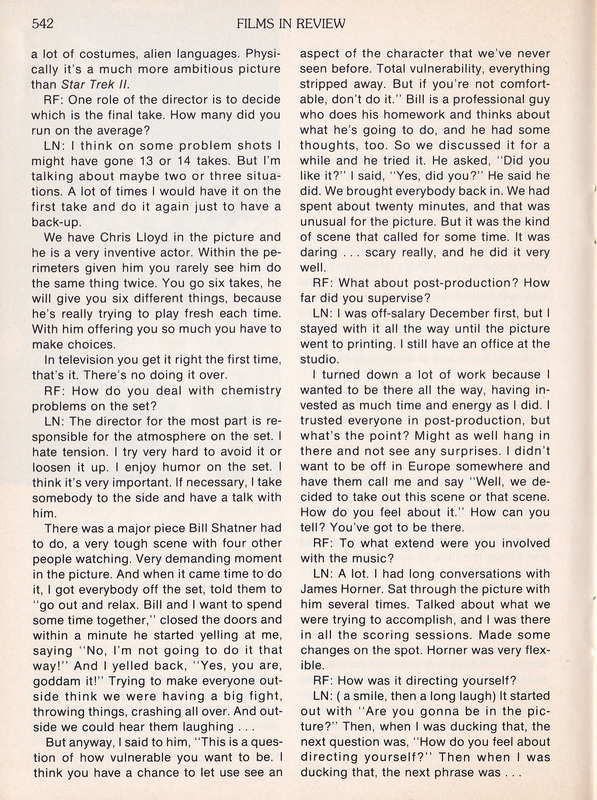 A good friend of mine gave me some of her old Films in Review magazines and to my delight, I found this interview with Leonard Nimoy in one of the issues! He discusses directing Star Trek III and almost gives away the ending! 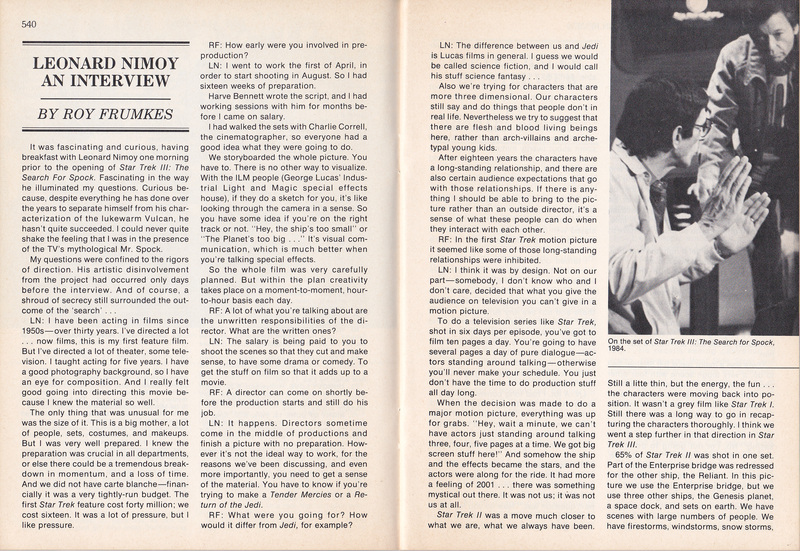 Alas, the only picture they use her is Nimoy in 1/4 profile, but it’s a good interview and insight into an early directing experience for the actor. 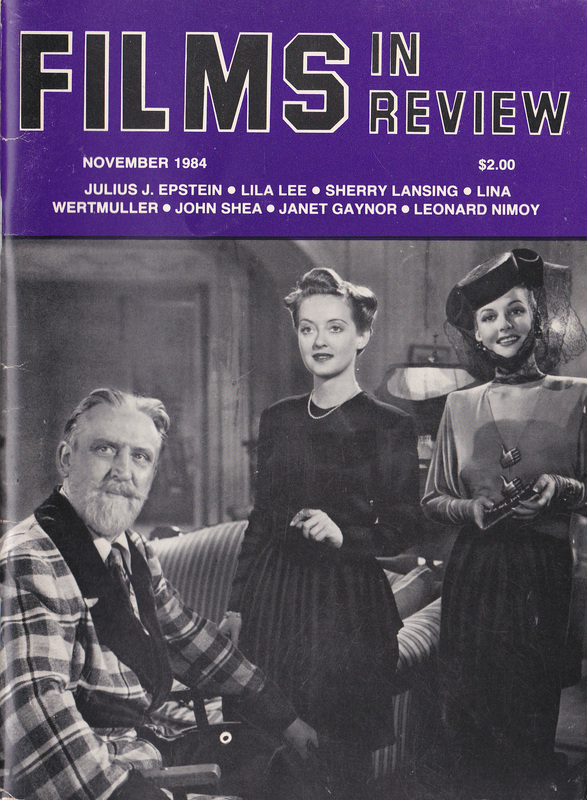 (btw, Films in Review actually blasted the movie in the August ’84 edition, (see here) but at least they gave Nimoy a chance to talk nicely about it in the November issue. 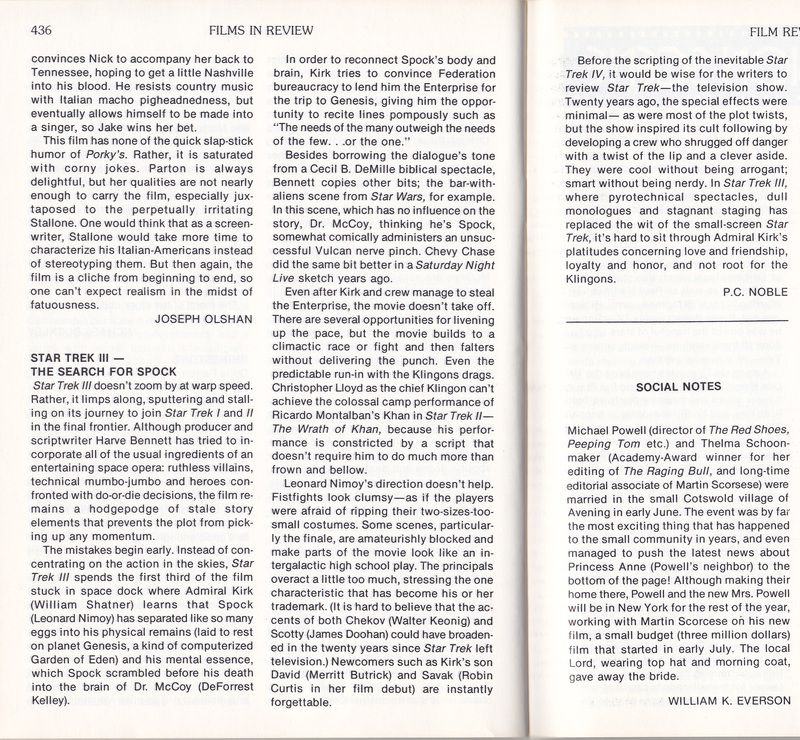 This entry was posted in My Star Trek Scrapbooks and tagged 1984, Films in Review, interview, Leonard Nimoy, Star Trek III. Bookmark the permalink.